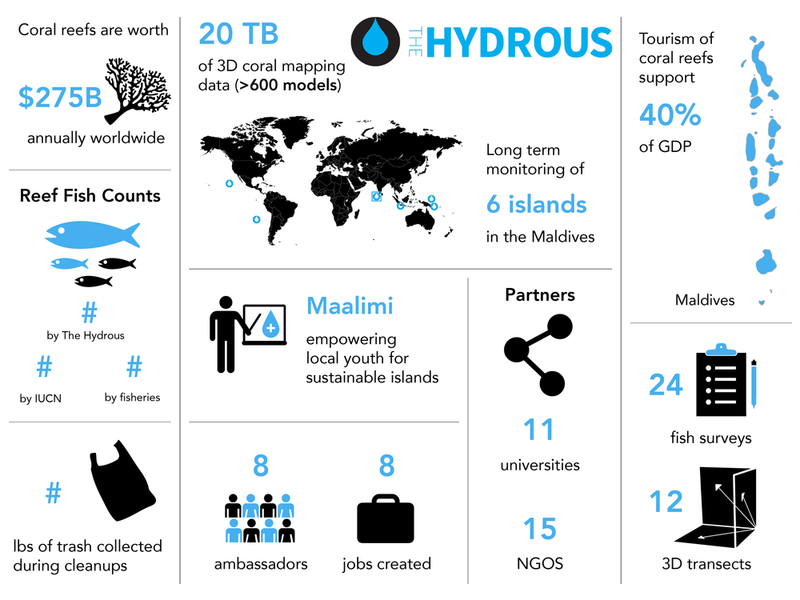 I worked with the Hydrous, a non-profit dedicated to coral reef conservation, after going on an expedition to Bali, Indonesia, to explore how technology like 3D modeling and remote operating vehicles could be tools measure coral health. It was an exhilarating 10 day adventure full of building, iterating, photography, and of course, scuba diving. 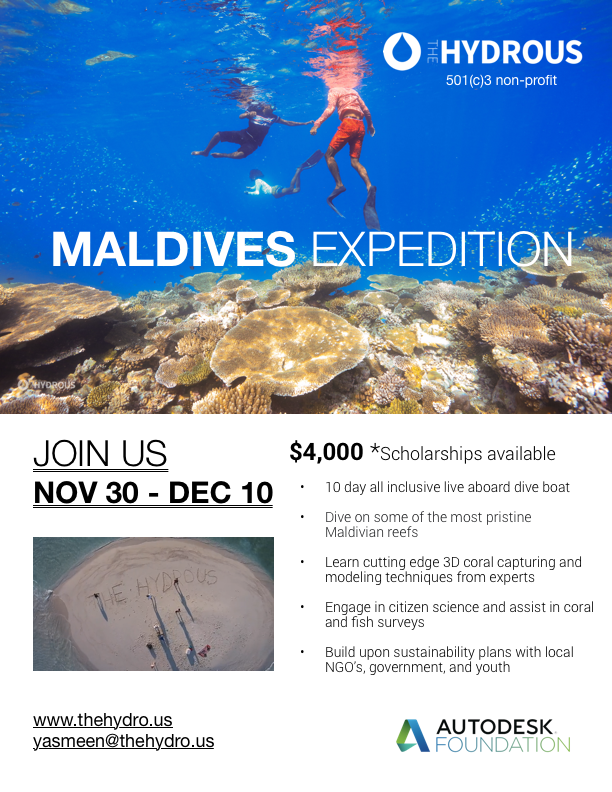 To help them market for their next expeditions, I made some flyers that they sent around on social media as well as an infographic that was used in presentation decks at conferences to demonstrate the work that the Hydrous has done.